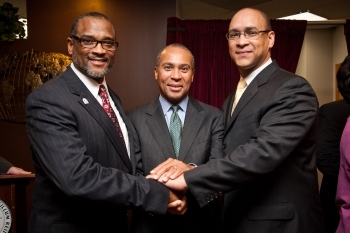 Guest blog post by David Hinson, National Director of the Minority Business Development Agency. Cross-posted from MBDA.gov. Each year, since 1955, Fortune Magazine ranks the 500 largest corporations in the United States. Corporations that are part of the Fortune 500, purchase goods and services from other businesses which in turn support thousands of other companies and millions of jobs across the nation. Becoming a supplier to a major corporation is a growth strategy that many minority-owned firms incorporate into their business plans, and Fortune 500 corporations have responded by launching supplier diversity programs. Some are more successful than others. The Billion Dollar Roundtable (BDR) was created 12 years ago to identify and honor those Fortune 500 corporations that have embraced the value of working with diverse suppliers and procuring quality products and services to satisfy their corporate needs. Every corporation that is a member of the Billion Dollar Roundtable is formally committed to procuring at least $1 billion annually in goods and services from minority and women-owned businesses. Today, there are 18 corporate members of the BDR, with many more on their way to achieving the $1 billion threshold. Although $1 billion is the benchmark for joining the Billion Dollar Roundtable, AT&T is one corporation exceeding that goal. On August 21st, I attended the Billion Dollar Roundtable annual summit, where attendees shared best practices in supply chain diversity excellence. There were also discussions about new strategies and opportunities to increase the number of Fortune 500 corporations in the Billion Dollar Roundtable. The Roundtable has accomplished a lot since its founding in 2001. Newly appointed Commerce Secretary Penny Pritzker visited Minority Business Development Agency (MBDA) employees during their staff meeting Monday. During the visit, Secretary Pritzker talked to MBDA staff about her commitment to supporting the Agency’s mission of helping minority-owned businesses grow and create American jobs. The secretary, who was familiar with MBDA’s work prior to joining Commerce, commended the agency on their recent annual performance report, and told employees that she looks forward to working with them to further the department’s mission. During her recent address to the Commerce workforce, Secretary Pritzker emphasized she would work every day – 24/7 – to ensure that everyone in Washington, DC, across the country and around the world knows the great work agencies and employees are doing. MBDA National Director David Hinson, speaking on behalf of the MBDA team, said that he was thrilled the secretary took time to visit the agency’s employees so early in her tenure, adding that the visit is an example of her commitment to employees, businesses and the nation’s economy. MBDA is the only federal agency solely dedicated to the growth and global competitiveness of U.S. minority-owned businesses. Our programs and services equip minority-owned firms to create jobs, build scale and capacity, increase revenues and expand regionally, nationally and internationally. Services are provided through a nationwide network of MBDA Business Centers, as well as through MBDA headquarters and a National Federal Procurement Center in Washington, DC. 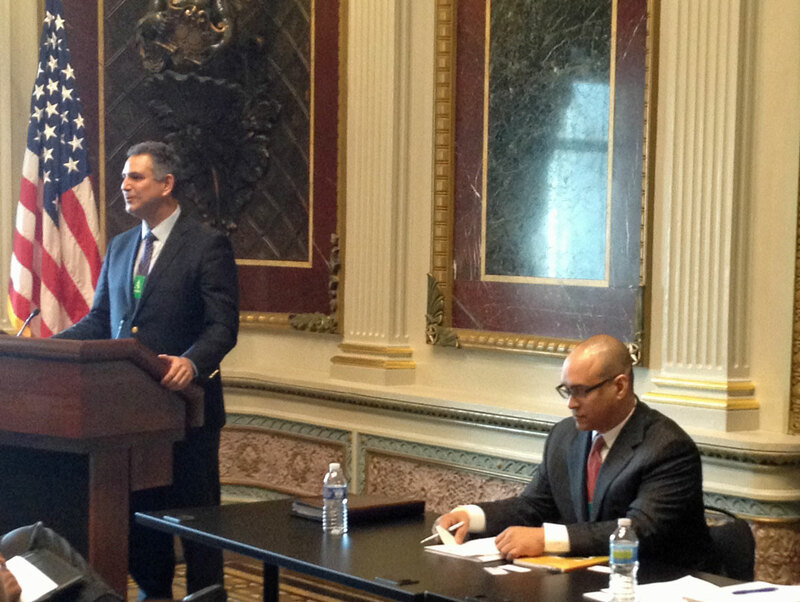 Earlier this week, we attended the Doing Business in Africa Forum at the White House. This was the first forum of the Doing Business in Africa campaign that the Commerce Department launched three months ago in Johannesburg, South Africa. Deputy Secretary of Commerce Rebecca Blank gave the opening remarks and focused on strengthening commercial ties between the United States and Sub-Saharan Africa. She emphasized that as the continent’s wealth increases, so does the demand for improved infrastructure, energy services, and high-quality consumer and agricultural products – all of which American companies are well positioned to provide. In fact, Sub-Saharan Africa is home to six of the ten fastest-growing countries in the world, which helps explain why over the past decade, U.S. trade to and from Africa has tripled, with U.S. exports now topping $21 billion. 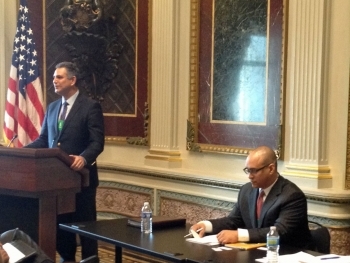 Michael Strautmanis, Deputy Assistant to the President and Counselor for Strategic Engagement, welcomed the group of federal government officials, African-born U.S. business and financial leaders, and African-American entrepreneurs, corporate executives, fund managers and investment advisors. Mr. Strautmanis emphasized the need for a collective approach from federal agencies to provide expanded investment and trade financing support to help U.S businesses become more effective global competitors, particularly in the Sub-Saharan region. Amplifying that message, both of us, along with representatives from government entities including the Overseas Private Investment Corporation, Export-Import Bank, Small Business Administration, Office of the U.S. Trade Representative, U.S. Trade and Development Agency and Millennium Challenge Corporation, described for the assembled group how all of our services are structured under the Doing Business in Africa campaign to help them seize opportunities in the Sub-Saharan Africa region. The Department of Commerce's Minority Business Development Agency (MBDA) National Director David Hinson wrapped up a five-day trip to Brasilia and São Paulo, Brazil, on August 24. 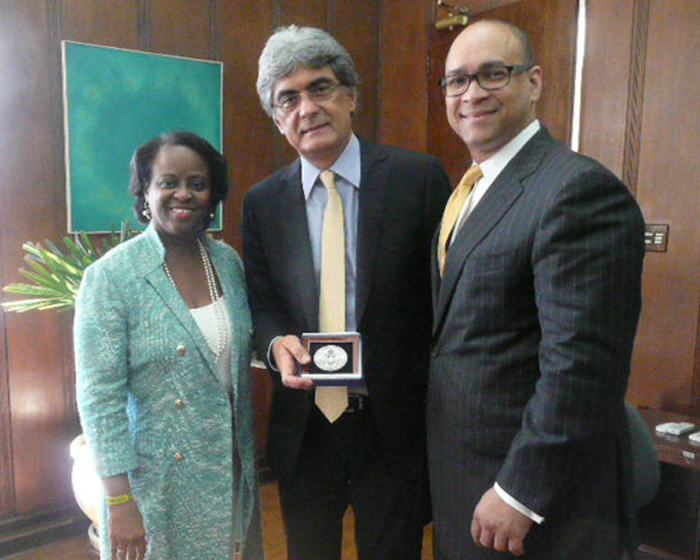 The trip provided an opportunity for Commerce’s MBDA to help push forward on the Obama administration’s National Export Initiative (NEI) by fostering greater access to emerging markets in Brazil for minority business enterprises. Helping the administration achieve its NEI goal of doubling exports by the end of 2014 is a top priority for MBDA, because more exports mean more jobs. Through the NEI, MBDA is thinking strategically about the sectors and markets that give America’s minority businesses a comparative advantage globally. Brazil is one of those key markets. During the trip, Director Hinson met with Brazil’s Ministry of Foreign Relations and Brazilian business owners to discuss how MBDA can help U.S. minority-owned businesses enterprises (MBEs) improve their return on investment through strategic partnerships and gain access to the unprecedented opportunities in the United States and Brazil—the two largest economies in the Western Hemisphere. 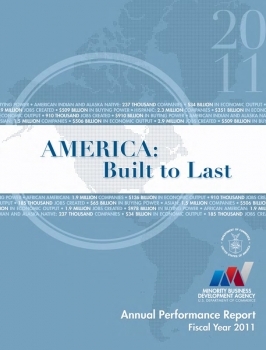 The MBDA FY2011 Annual Performance Report (APR) (7MB PDF) backs up what we’ve been saying about MBDA’s achievements under President Obama. In 2011, we registered the best performance in our 43-year history. It was our third record-breaking year in a row. The recently released APR presents detailed information about the contracts and capital MBDA helped obtain for minority-owned businesses, along with the number of new jobs created. It also highlights our strategic and organizational accomplishments. Let me give you just a few of those highlights. Despite the serious head winds the economy is facing, more than 5,780 new jobs were created by minority-owned firms working with MBDA and its network of MBDA Business Centers in FY 2011. 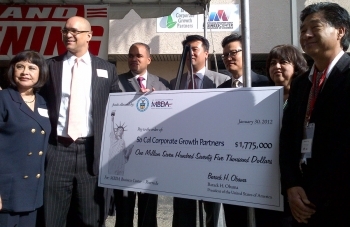 MBDA assisted minority-owned businesses in obtaining access to nearly $4 billion in contracts and capital. MBDA facilitated a total of more than 16,300 new jobs, an increase of 20% over the prior three-year period. MBDA directly served more than 17,400 minority-owned businesses and indirectly served thousands more, a 36% increase over the prior three-year period. And MBDA achieved a Return on taxpayer Investment (ROI) between 102x and 130x, an impressive 86% increase over the prior three-year period. MBDA’s FY2011 APR also presents a state-by-state detailed analysis of the performance of minority-owned businesses broken down by industry. Supporting the growth and global competitiveness of minority-owned businesses is a priority for the Department of Commerce and the Obama administration. And we’re making good on that priority. Last year, the Department’s Minority Business Development Agency (MBDA) registered the best annual performance in its 41-year history. It assisted minority-owned businesses in gaining access to nearly $4 billion in contracts and capital, supporting the creation of nearly 6,000 much-needed jobs. Over the last three years, our network of 39 MBDA Business Centers, has been largely responsible for generating $10 billion in contracts and capital while helping to create and save nearly 20,000 jobs. Today, the challenge for MBDA–like so many organizations across the federal government–is to figure out how we build on that record while becoming more efficient. A number of bureaus right here within the Commerce Department are facing a similar challenge, which has led, for example, to consolidating or otherwise cutting several programs in the National Oceanic and Atmospheric Administration (NOAA), restructuring some units within International Trade Administration (ITA) and shifting the Economic Development Administration’s (EDA) emphasis to regional innovation strategies. So how do we at MBDA meet the President’s mandate to improve services to minority-owned businesses and entrepreneurs in an increasingly difficult budget environment? The answer for our Bureau started with looking at the grassroots where MBDA interacts on a daily basis with minority business owners. Our front lines are our 39 MBDA Business Centers and related business development support services. Our plan is to strengthen connections at that level to enhance services and get more for your tax dollar. Data from the Department of Commerce reveal that minority-owned firms are an engine of job growth and are more likely to export than non-minority-owned firms. These firms account for $1 trillion in gross receipts and employ almost six million Americans. 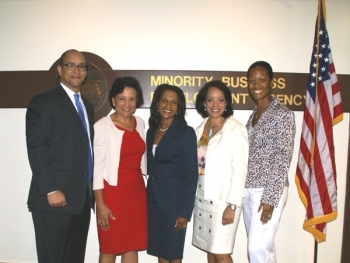 To bolster the economic impact of minority entrepreneurs across the county, the National Advisory Council on Minority Business Enterprise (NACMBE) was established in April 2010. Commerce Secretary John Bryson hosted the fifth meeting of the National Advisory Council on Minority Business Enterprise today at the Commerce Department. The Council, co-chaired by Mark Hoplamazian, CEO of Hyatt Hotel Corporation, and Janice Savin-Williams, co-founder and principal, Williams Capital Group, includes CEOs, entrepreneurs, investors, and scholarly research experts. Today the Commerce Department’s Minority Business Development Agency (MBDA) presented a grant to SoCal Corporate Growth Partners for $1.775 million to operate a new MBDA Business Center in Riverside, California. MBDA National Director David Hinson was joined by Riverside Mayor Ron Loveridge and Daniel Sieu, CEO & President of SoCal Corporate Growth Partners to celebrate the opening of the new Riverside MBDA Business Center, which will be operated over five years. 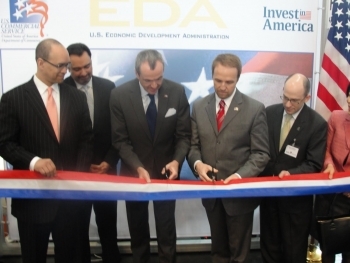 This Business Center is a part of a network of 45 centers that operate nationally under the auspices of MBDA designed to help minority-owned firms secure capital for new equipment and facilities; compete for public and private sector contracts; and prepare for exporting opportunities. The Centers also provide strategic advice on supplier diversity programs to help make buyers more effective and efficient in meeting their goals. The most recently opened business centers were in Boston, MA, Minneapolis, MN and Manhattan, NY. 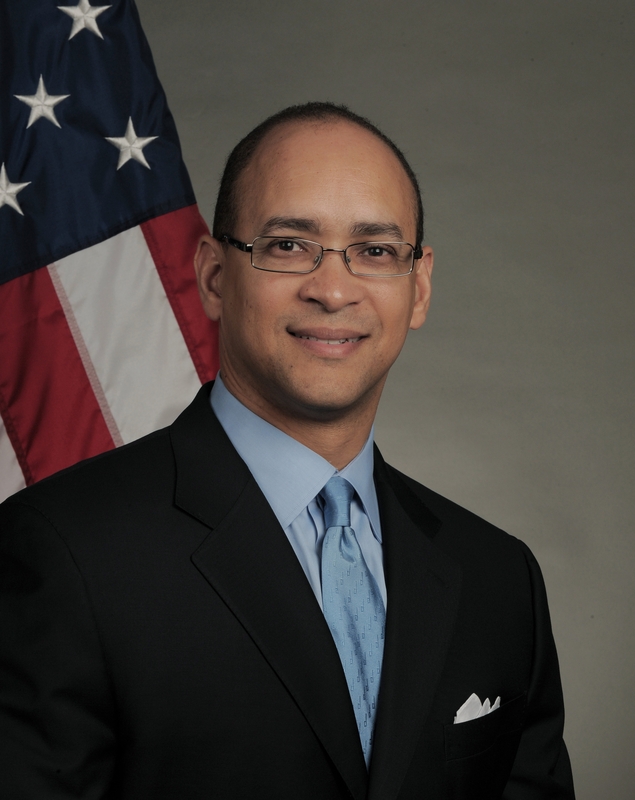 On Tuesday, David A. Hinson, National Director of the Minority Business Development Agency (MBDA) joined legislators, dignitaries, and business owners in celebrating the opening of the new MBDA Business Center in Boston, Massachusetts. The new center will receive a five-year $1,375,000 federal grant from MBDA to operate in the Boston area to assist minority businesses to successfully compete globally and domestically, and to gain access to contracts, capital and markets. The center will be operated by the Greater New England Minority Supplier Development Council (GNEMSDC). 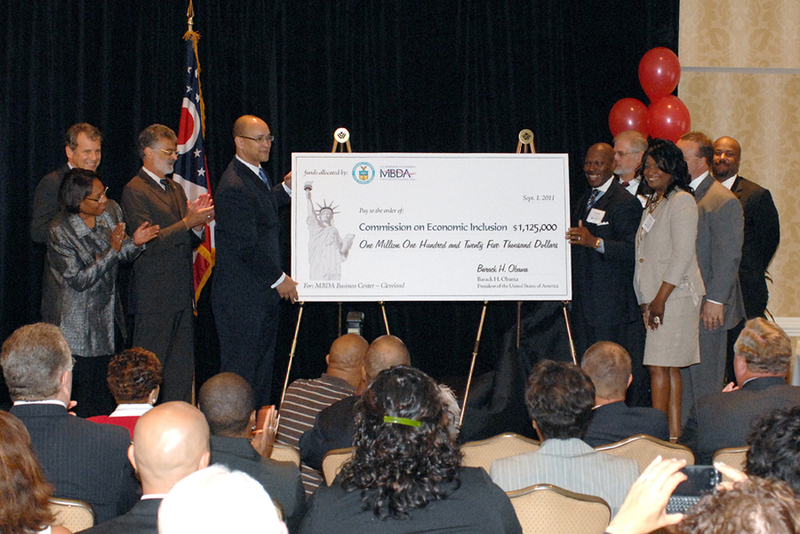 Cleveland is the home of the U.S. Commerce Department’s Minority Business Development Agency’s (MBDA) newest business center. On Thursday, Sept. 1, more than 250 people turned out for the Cleveland MBDA Business Center’s grand opening and press conference held at the Wyndham Hotel. U.S. Senator Sherrod Brown (D-Ohio) and Congresswoman Marcia Fudge, (D-Ohio) delivered remarks; and Cleveland Mayor Frank Jackson presented a proclamation recognizing the center’s role in the city. MBDA National Director David Hinson delivered remarks to the crowd, challenging business owners to take advantage of the new opportunities that will be available through the business center in creating access to capital, contracts and markets. The $1,125,000 five-year federal grant check was presented to center operator Andrew Jackson, Senior V. P. and Executive Director of the Commission on Economic Inclusion, Greater Cleveland Partnership. Following the open house and tour of the center, a select group of minority business owners and key economic development stakeholders were invited to a White House Business Roundtable, where business owners shared in a candid conversation about their issues and concerns. MBDA Business Centers assist minority entrepreneurs with strategic business consulting services. Centers work directly with minority business owners and managers at the local level and provide enhanced assistance through MBDA’s national strategic partners, both within the federal government and the private sector. Guest Blog Post by Brian McGowan, Deputy Assistant Secretary of Commerce for Economic Development. 21 Economic Development Organization’s (EDOs) from across the nation are working today to create new jobs in their regions by participating in the U.S. Trade & Investment Program to HANNOVER MESSE 2011, the world's largest industrial technology showcase. The event runs from April 4-8, 2011 in Hannover, Germany. The purpose of the program is to promote the Obama administration's National Export Initiative (NEI) as well as to attract Foreign Direct Investment (FDI) in the U.S. By leading regional business clusters abroad, the Department of Commerce is aiding communities in promoting their regions as ideal locations to do business. 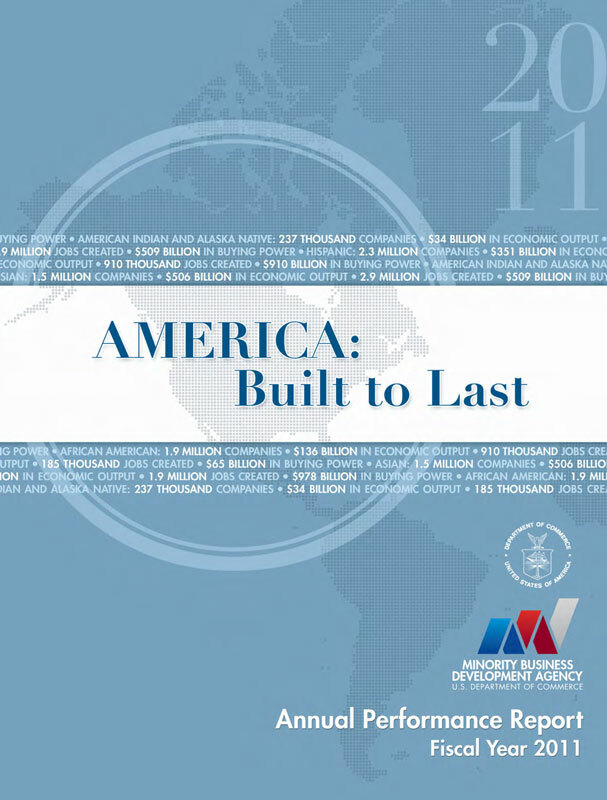 The program is the product of a unique partnership formed by the Commerce Department’s Economic Development Administration (EDA) and the International Trade Administration’s U.S. Commercial Service (USCS), and Invest In America (IIA) programs.